“…I’ve seen other people go through this, but never thought it would happen to me. It wasn’t great timing. I feel so called to go to Asia, but this was a roadblock, something that was planning to stop me from going…It was at that moment that I began to seek God, put on worship in my headphones, and declared that God is able to make a way when there seems no way. These are the kinds of statements I put in songs, because I know that other people are going through challenging times like this. But now, they never rang more true to me, personally…” Probably the most personal and emotional song that Planetshakers have ever recorded, “Only Way” is an explosive guitar led pop/rock anthem, which released this month and is inspired by the tumultuous ordeal of lead singer Joth Hunt’s surgery to remove a cancerous tumor early last year. With Joth in the midst of a desperate situation, “Only Way” was born, and like Joth has been give comfort by his own song; so too does he want others in Australia and in the entire world to be impacted by God moving in his own life. Originally when I heard this song without hearing the story behind the track- or even reading the press release; I gotta say that I was tempted just to write another standard review of a standard Planetshakers song. You know, like a ‘band writes a vague praise and worship song that drags for 10 + minutes’ type of review, or a ‘band writes worship rock song that is actually a half-hearted EDM song’ type of review. But after I did my research and now that I know what Joth experienced last year, “Only Way” takes on greater significance and meaning- and is one of my favourite songs of the year thus far. There’s nothing much more that needs to be said about this song- but I suggest you watch the documentaries on Youtube chronicling Joth’s emotional journey through the removal of cancer process. “Only Way” carries more weight after viewing the videos- and here’s hoping that whatever comes next for the band will live up to the hype and praise of “Only Way”! “…God had me write that song a week before I knew this was going to happen. It was the perfect tool God helped me to use to declare victory over the situation. It’s easy to sing these songs week-to-week, but when you are actually going through it, these lyrics become more…they become an anthem…there is zero cancer in my body because God closed the book on that. 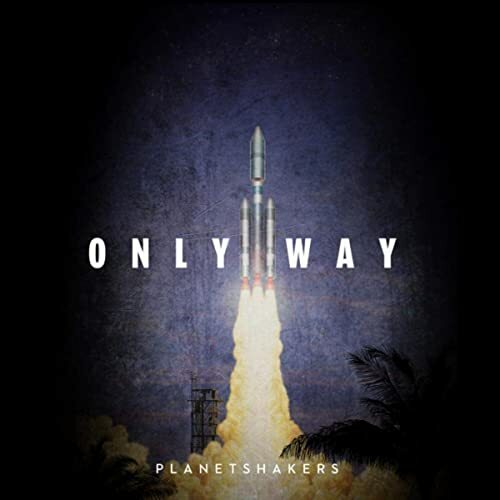 The struggle of this journey is over…God has taken care of it…” Overall a more than stellar song that bodes well for the future of Planetshakers; “Only Way” definitely deepens my interest for Planetshakers a bit more. But while this song right now isn’t as impacting as songs from artists like Passion, Jesus Culture, and Hillsong, Planetshakers have nonetheless done Australia proud by being true and honest in “Only Way”- Joth has bared his sould- so well done Planetshakers for still stepping out of your comfort zone and creating music even when the critics say your time is up. Here’s hoping and praying that you guys have many more new albums to come that will revolutionise the worship industry in the future!